Burbank, CA – Finland’s hard-rock heroes HIM have announced that they will tour North America this spring in support of their upcoming new album Screamworks: Love In Theory And Practice, which will be released by Sire Records on February 9th, 2010. The headlining trek begins March 26th in Philadelphia and criss-crosses the continent before finishing up in New York City on May 7th. We Are the Fallen, Dommin, and Drive A will provide support. Ticket pre-sales begin on the band’s website, http://tixx1.artistarena.com/him, on January 20th, 2010, and continue up until the January 22nd and 23rd public ticket on-sale dates or until the individual pre-sale tickets sell out. During the presale, fans can buy stand-alone tickets, or buy tickets that come with a copy of the band’s new album (available February 9th). There will also be a VIP pre-sale in which fans who buy tickets will receive a deluxe CD (on February 9th), as well as a limited-edition album artwork lithograph, and a VIP tour laminate granting them early entry to the concert venue. HIM’s new album, Screamworks: Love In Theory And Practice was recorded at The Lair in Los Angeles. The album was produced by Matt Squire (Taking Back Sunday, The Used, Saosin) and mixed by Neal Avron (Linkin Park, Weezer, Fall Out Boy). The video for “Heartkiller,” the album’s first single, premiered on MySpace on January 8th. Screamworks: Love In Theory And Practice is HIM’s seventh studio album and the follow-up to 2007’s Venus Doom, which debuted at No. 12 in the U.S. and was nominated for a Grammy Award for “Best Boxed/Special Limited Edition Packaging.” In 2007, HIM, which is Ville Valo (vocals), Mige (bass), Linde (guitar), Burton (keyboards), and Gas (drums) supported Metallica in Europe before joining the Linkin Park-headlined Projekt Revolution tour across America, and headlined its own U.S. theater tour. 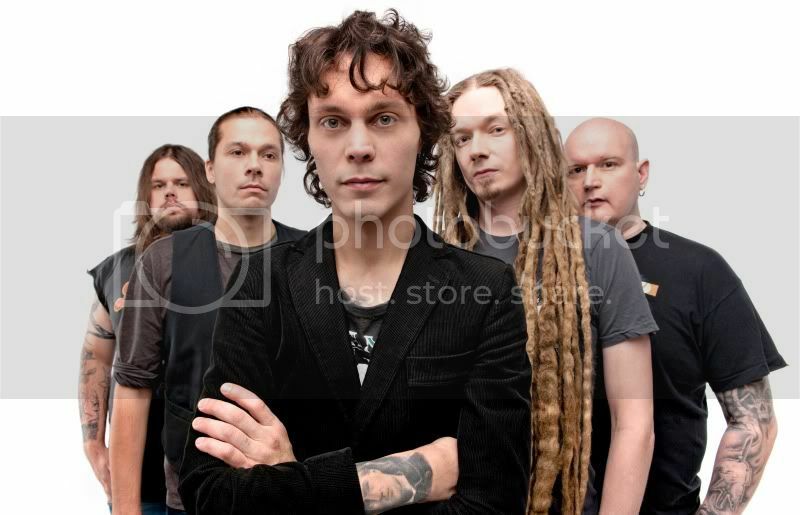 The band’s 2005 album Dark Light has the distinction of being the first album by a Finnish band to be certified gold in the U.S.
For more about HIM, please visit their official website, http://www.heartagram.com/.